You forgot to put your meal in soon enough and only have 2 hours before dinner. Oops. You put your meal in the crock pot but forgot to turn it on. Oops again. You are afraid your crock pot will burn the house down. I get this, I really do. My Mama falls in this category. You’re in the woods with no plug-in and want to make dinner. First off, it’s pretty easy to convert some recipes…especially ones like soup. Just cook them in a pot on the stove instead. You might need an hour or so for the flavors to really blend together. Others, like cake, are harder to get just right. And some should just only be made in the crock pot – for instance, Whole Baked Chicken. I am ALWAYS going to make that in the crock pot. I just am. So there. I’ll just give you guys a general guide about how to convert crock pot recipes. They might not be spot on, so proceed with caution – and when in doubt, use a meat thermometer and do a taste test. You know you’re sticking your finger in it already…don’t lie to me. Also, note that you might need more liquid. Most crock pot recipes don’t need a lot of liquid because they don’t let moisture escape….so, don’t burn the soup please. For things like roasts and ribs (3-5 pounds) that call for you to cook them on LOW for 8 hours, you’ll need to cook them in the oven for about 2-3 hours at 350 degrees or until a meat thermometer says they’re done. If you don’t have a meat thermometer, get one. Check out this meat temperature chart. I always cover my meat with parchment paper so it doesn’t get too brown…unless I forget. Then we eat burned meat. If the roast says to cook on HIGH, well I’d still cook it at 350 for 2-3 hours. For soups, you can basically just transfer those to a stock-pot for the stovetop. Cooking time will be based on how long you have. I give mine at least 1 hour on medium-low. 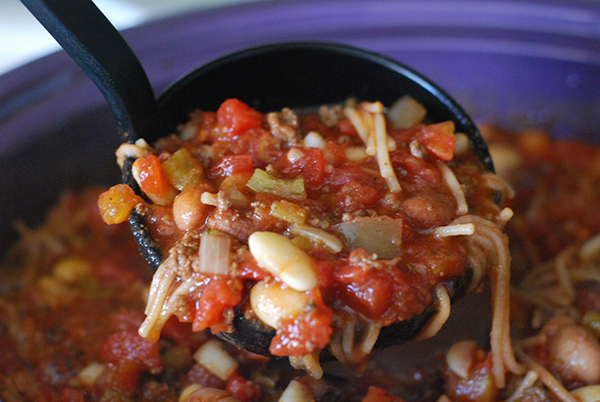 I always add cooked meat to my soups for the stove-top – so I precook it before making the soup. For casseroles and such that call for LOW for 4-8 hours in the crock, you’ll need about 30 minutes in a 350 degree oven. For dishes that need 6-10 hours on LOW, you’ll need about 40 minutes in the oven. For a dish that says 10-12, hours you’ll need about 2 hours in the oven at 350. I’m not sure about you, but I RARELY see recipes that need 10-12 hours. If it calls for 3-4 hours on HIGH, you’ll need about 40 minutes at 350 degrees. A recipe needing 4-6 hours on HIGH in the crock will need about 90 minutes+ in the oven. If it calls for HIGH longer than that, something might be messed up with the recipe. Ha, ha! I, myself, don’t convert recipes very often. I usually cook them as directed…because I’m a rule follower. IF a recipe calls to cook on low and I don’t have the time, instead of cooking on the stove-top or in the oven, I just turn my crock to high and cook for ½ the time. For daily meal inspiration, follow @humoroushomemaking on Instagram. You are welcome to go for it – Stacy really only uses her microwave for reheating. I am not sure how it would work converting slow cooking style recipes to microwave. If you’re in a time crunch, maybe you should look into an Instant Pot pressure cooker. Those would also cut down on cooking time and in my opinion, yield a much tastier meal. My husband has a prejudice against food cooked in the crockpot. 🙁 That’s why I’m looking to convert recipes! The other reason is that fairly often, I’m away from the house too long for my crockpot and things get overdone–today I’ll be away at least 10 hours, and I don’t want my 4-6 hour recipe sitting there that long. You can always try it! Some recipes convert more easily than others. Let us know if it works! I’m making gumbo.. Great crock pot recipe but I am making double quantity.. And I am a rule follower as well, so this is driving me crazy! The crock pot recipe is too large for my crock pot and I didn’t realize it until I had all the ingredients in the crock pot! That’s why I’m wanting to convert to the stove top. Thanks. I have a slow cookers recipe to cook a roast on low for 6-8 hours how do i convert this to stove top. Please help me id like to have this cooked for dinner. Roasts can be cooked on the stove top, but because they are typically larger pieces of meat, it usually still takes 2-3 hours. Brown the meat and then add liquids, spices, and vegetables and simmer until the meat is tender. I have no idea why, but I just don’t like the taste of food that has been cooked in a crockpot. I have tried many, many recipes and none taste very good to me. I have also eaten what other people cook in a crockpot and don’t like their food either. Any suggestions? 🙂 Use a pressure cooker! I have many crockpot recipe books and I just bought a dutch oven. 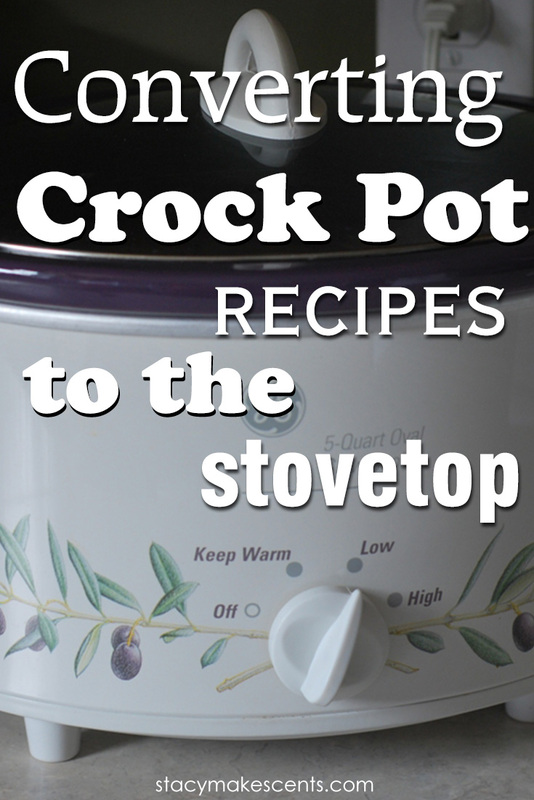 Can I use the recipes from the crockpot recipes books for the dutch oven recipes. I know that cooking times are different and I don’t want to purchase dutch oven recipe books if I can help it. Sure! 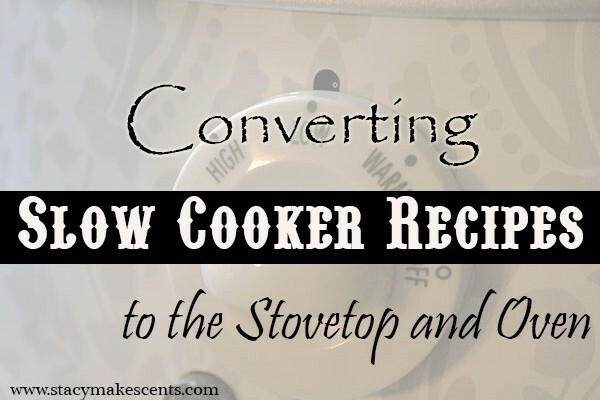 Almost everything crock pot can be converted to a stovetop. I have two crock pots buuuut I just bought a new oven last year that has a slow cooker setting! How awesome is that! I can put a huge pan in my oven which basically quadruples my slow cooking ability. Well, how cool! I’ve never heard of that! 7. You live in a country where crockpots are not a huge trend (most of Europe I’m guessing) 😀 It gets depressing when you search for recipes in english and most of the results come out crockpot made. Have tried numerous times over the years and more lately as I am now retired to use my crockpot but maybe it’s not working or just old (20+). Things just don’t taste the same and potatoes especially never get done in the allotted time. So I end up nuking the potatoes. Also being at home and smelling it all day just ruins my appetite. I like the idea of putting it in the garage – never thought of that. You might think about getting a new one to see if that’s the issue…and having an extra crock pot isn’t a bad thing in my book! 🙂 I am glad you found the garage tip helpful! It’s at the top of the main page and at the bottom of each post. I’d like to try using the oven because I’ve tried crock pot pot roasts about three or four times. Each time they’ve come out tasting scorched and with a metallic taste. Reading comments online-some blame the stewed tomatoes. Others say the bitterness is due to the onions or garlic cloves. I’m thinking maybe I’m not a good crock pot cooker. Let me recommend the pot roast from Pioneer Woman. Soooooooooooooo good. Unless it is really cold, even an oven heats up the house too much, so I use a microwave for most things. Most days by noon things are warm outside. I tried a crock pot, but it heated the house up, too, and I hated the cleanup, since I do not have a dishwasher–though I guess even then it would be a hand washing job. I am sure they are convenient for most people though. I hadn’t thought of converting the recipes, but your comments make a lot of sense. So I will have to try doing that, and take it a step further to doing it in a microwave. We only cook in huge volumes when grown children and grandchildren are coming for a visit. Enjoy your blogs. Brings back a lot of memories. One of my kids asked me if they had socks when I was growing up. Made me feel she thought I was really ancient, lol. Thank you SO much for your lovely comment. 🙂 I really appreciate it. Thank you, so very much for your helpful site. I’m an ER RN…(meaning 99% of the time, I don’t get to eat, drink, or pee during shift as well as clocking out after 12 hrs, and crockpotless LOL)..so with that being said, I don’t use/have a crockpot because 99% of the time I can’t make it home in the amount of required time to make sure food is done during an appropriate time. I always enjoy trying out/cooking new recipes (especially crockpot inspired) but have to prepare on limited time…I greatly appreciate your advice. I kinda calculated the amount of stove time that you have suggested but like the “confirmation” you have provided. THANK YOU! While I agree with why on earth would one NOT use a crockpot, I have a new reason – size! 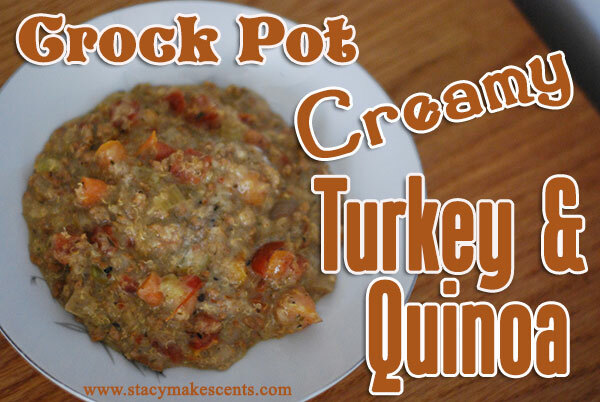 I have a soup that my recipe is for the crockpot (it’s a version of the Olive Garden Zoupa Toscana) and I need to triple the recipe, but don’t have three crockpots! But I DO have a soup-kitchen sized stockpot :). Thanks for the help!! I am trying to cook a recipe that states to cook in a crockpot on high for 2 to 2.5 hours. What would you say the conversion to the oven would be? Thanks for this! I’m living in a country where nobody uses crock pots; most people don’t know what they are and if you want to buy one, they’re very expensive. Back when I was in college in the US I used my crock pot for everything. Now I’m trying to save money by looking up “frugal” recipes but so many of them require slow cookers. I’m going to try experimenting with these conversions to make them in the oven or on the stove. That’s so interesting! I had no idea. 🙂 Thanks for sharing! Is there a way to make this on the stovetop? I bought all the ingredients before realizing that my crockpot can’t be used. Make what? This post is about converting recipes….but I don’t see the recipe you’re talking about. 🙂 A crock pot really doesn’t use that much energy…and it’s helpful for a lot of moms to throw something in the crock and be gone all day – then come home right at dinner time and everything is ready to go. I’m 67 years old and love my slow cooker! I have used it for many years before I retired. Ingredients in the pot, turn it on and off to work. Come home dinner done! There is no babysitting involved. I now go about my day and forget it until dinner time. Don’t knock until you try it. I’m going to share this next week. Thanks! 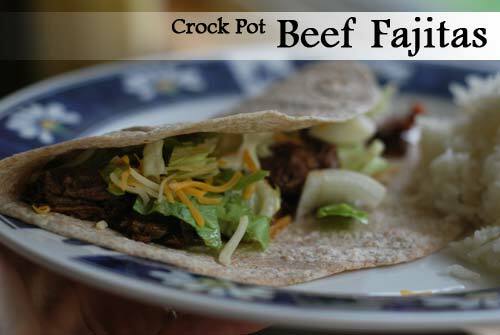 I brought a pork shoulder roast to make tacos in the crockpot. I forgot I sent my crock pot to be repaired. How long should I cook it in the oven? It’s made with salsa and cocoa powder and a few other spices. i want to cook a london broil, but do not own a crock pot or a baking dish big enough to put it in the oven. Can i cook it in a large pot on the stove top? I’m not sure how or if that would work. If you give it a try let us know how it turns out! I just checked on my ribs and my crock pot never heated up today! Noooooooooooo! Do I have to transfer them to another pan or can I cook in the crock in the oven I wonder? I’m not sure how that would turn out. I’d transfer them to another pan to be safe. Thanks! My slow cooker is too small for the chicken corn chowder I want to make. That’s a winner for sure! This is such a helpful post. You helped me out with tips awhile back when I asked you on facebook about how to convert one of your crockpot recipes to an oven recipe. I use those tips you shared then quite often, primarily because my crockpot is pretty small (like 2 qts or something) but I do have a wonderful cast iron dutch oven. So your tips have actually saved me from buying a larger crockpot altogether and helped me get more use out of the dutch oven I already own. I think you’re the reason I wrote this post. 🙂 I had it on my mind for a while. Thanks, Stacy. I just recently found your site and I’ve really enjoyed it! I LOVE my crock pot, but lately I’ve had a couple of recipe blunders…I followed the directions and even slow cooked it for less time than it said, and still my chicken and pork chops came out really dry. I’ve been thinking that I’ll just need to oven bake them from now on, but I really do love my crock pot and would much prefer to fix the problem. Maybe add even more liquid? 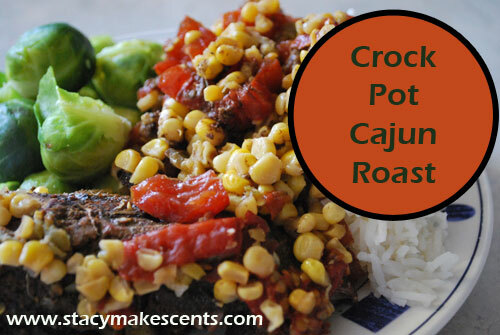 It could be your crock is cooking hotter – I never have dry meat. Either add more liquid or tone your time down by half and then check. Does your crock have a good seal? I’ll check the seal. That could be the problem. I also don’t usually check on it until it’s too late, so I’ll also try checking more often. Thanks! If your crockpot is loosing moisture, try wrapping tinfoil tightly around the pot before you add the lid. Kimberly, If you tightly wrap tinfoil around the pot prior adding the lid that should help maintain moisture. On the flip side, if you are heating mash potatoes and moisture is dripping all over them put a very absorbent towel or a triple layer of paper towels under the lid. I love using the crock pot! In fact, since I bought your book, I probably use it 2-3 times a week. Sometimes more. And a lot of the time I’m using both crocks at the same time. My oldest son asked me recently why I use the crock pot so much. I told him it’s so so great to be able to put supper in and not have to worry about fixing a bunch a stuff later. It’s so nice when you homeschool! We’re having chili pork wraps tonight! 🙂 We all love them!